This is just a small list of things I consider when buying not only Iran Rial but any currency. Please make sure that you do your research before you purchase the currency of Iran. Sanctions might be over, and you are wondering, “Where can I purchase Iranian Rials” but I warn you, some places might charge you as much as 200% over the actual cost of the currency! Expect a minimum of 10-25% markup. The Iranian Rial trades 28,082 to the US dollar (USD/IRR). Six power talks are coming to a head with Iran regarding its nuclear program and ability to make nuclear weapons. As an incentive to agree to limit its nuclear program Iran would get relief from sanctions imposed by the West. The question is will successful negotiations help the Iranian rial? Trading Economics provides information on the USD and Iranian Rial. 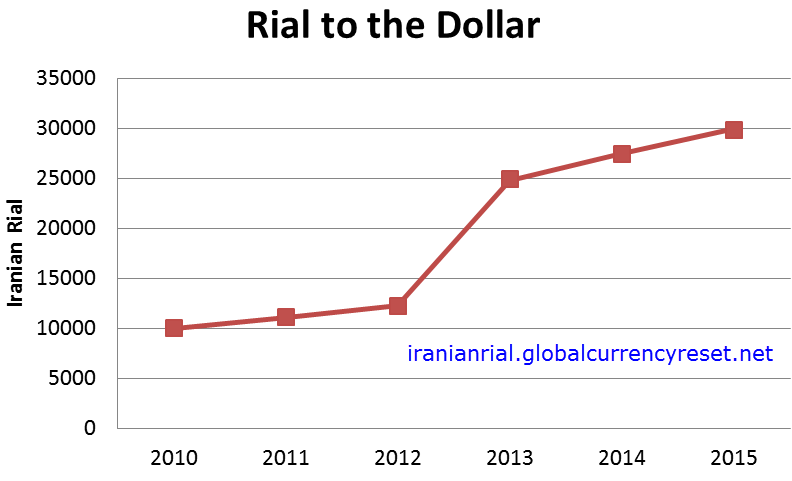 The US Dollar increased to 28055 Iranian Rial in March from 27710 in February of 2015. The Iranian Rial averaged 8828.55 from 1999 until 2015, reaching an all-time high of 42979 in January of 2003 and a record low of 1747.50 in May of 2000. 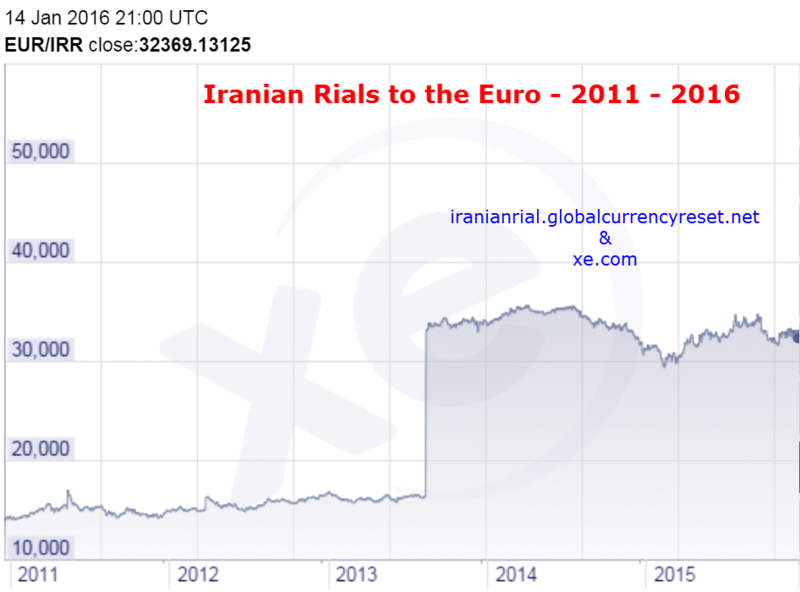 Prior to sanctions the rial traded 11,000 to the US dollar. When sanctions were imposed it fell to 24,000 to the dollar and has continued to slide over a year to the 28,000 range today. How fast will sanctions be lifted if negotiations succeed and when would that start? Talks have been going on for a year and a half and are at a self-imposed deadline. If Iran and the six nations can agree to a set of principles details will be settled on by the end of June, 2015. Under discussion are issues such as just how fast sanctions will be lifted and how soon. Will successful negotiations help the Iranian rial? They probably will but just how soon remains to be seen. The Guardian reports on the Iran nuclear talks. Foreign ministers in Lausanne are reported to be close to a joint statement on a partial agreement on Iran’s nuclear program that would leave some difficult areas to be negotiated in the coming months. According to the Associated Press, a vague declaration would be accompanied by texts outlining what has been agreed and what has not. It is unclear whether those documents would qualify as a political framework, the goal that the ministers from seven states set themselves to reach by the Tuesday midnight deadline. Nevertheless, any publicly declared points of agreement on important issues such as Iran’s future capacity to enrich uranium and the lifting of sanctions, would represent substantial progress at the high-stakes 18-month negotiations. Diplomats have hitherto been loath to publish details on the grounds that “nothing is agreed until everything is agreed”. A first stage agreement would be heartening and could help the rial in the short term. However, the ministers of the USA, Britain, France, Russia, China and Germany have been clear that a deal must be verifiable and if Iran does not follow through there need to be sanctions again. Iran is a major oil producer. It has been hurt because sanctions have reduced its ability to export oil and what oil it can export brings only half the price that it fetched in 2014. Nevertheless Iran may well flood the market with crude oil if and when negotiations succeed and sanctions are lifted. The Wall Street Journal notes oil futures are already down based on expectations of an Iran deal. Oil prices fell Tuesday as a deal on Iran’s nuclear program appeared more likely, raising the chances of increased Iranian crude-oil exports. Iran, which has 10% of the world’s crude-oil reserves, has seen its production and export capacity sharply curtailed by sanctions. Its crude exports dropped from 2.5 million barrels a day in 2011 to 1.1 million barrels a day in 2013, according to the U.S. Energy Information Administration. 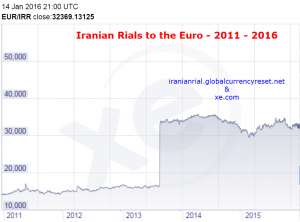 Will successful negotiations help the Iranian rial? The rial will do better when the price of oil rises but Iran has stockpiled a lot of crude and will be very pleased to sell even at low prices. 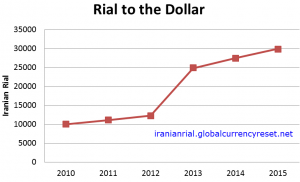 The rial will likely rise when negotiations succeed and even more when sanctions are lifted. People think that buying Iranian money is the next big thing, and that they will get rich by purchasing it. I tend to think differently. Sure the Iranian Rial can certainly increase in value, but I think that you should allocate no more than 5% of your portfolio into this currency at this time.